Mobile communications bring profound changes to our everyday lives. The launch of 3rd generation mobile systems in 2001 in Japan and from 2002 throughout the rest of the world, will enable us to communicate at anytime and anywhere, by using a variety of services which have up to now only been available to fixed network users. By the end of 2003, there are expected to be over one billion mobile telephones in use around the world, which surpasses the number of fixed telephone lines projected for that date. Written in an easily accesible style, UMTS: Mobile Communications for the Future will prove indispensable reading for all those working in the area of mobile communciations. 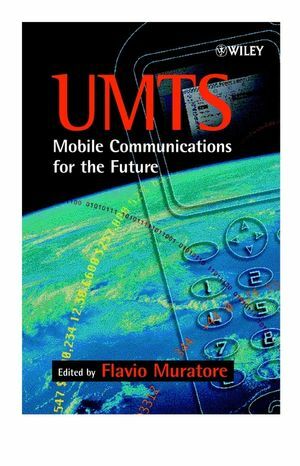 Flavio Muratore is the author of UMTS: Mobile Communications for the Future, published by Wiley. New Service Requirements and Innovation Factors. Satellite Opportunities in Mobile Communications. Terminals and Applications.Equipment and Service Tests. List of Codes and Acronyms.